Habitat: This is an evergreen epiphytic species that grows in tall tree. Not more than only 50 plants survive in habitat within a small patch of Atlantic Forest habitat, fragmented by roads and drains. This is the residual part of a larger original forest that was about the size of Texas, Louisiana, Mississippi, Alabama and Florida combined. 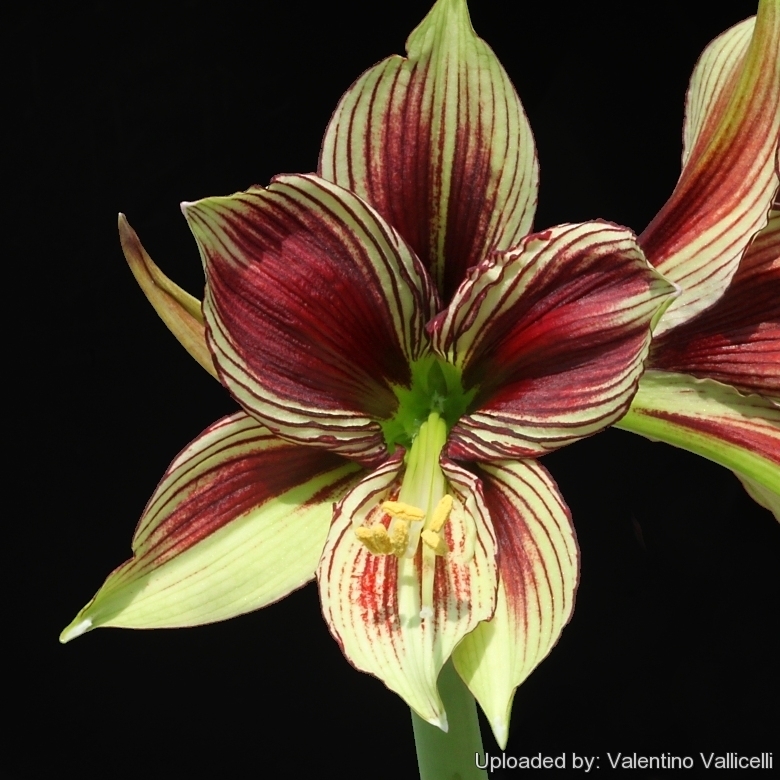 Description: It is one of the most remarkable and beautiful of all Hippeastrum that produces pretty spectacular butterfly or orchid-like flowers. Flowers: The plant can bear two spikes simultaneously each with 2-5 large flowers about 18cm across and held up well, without needing support. 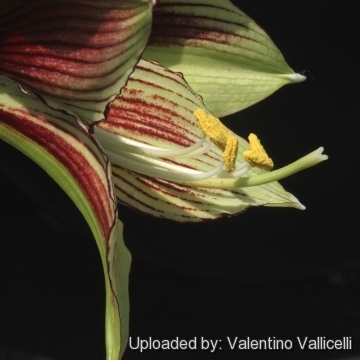 The form of the flower resembles a butterfly's wings in addition to long stamens resembling antennae. 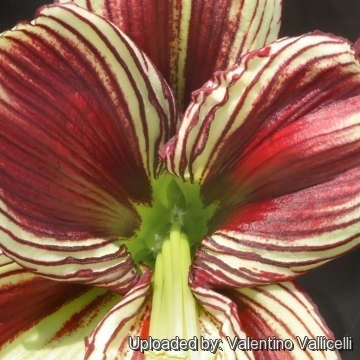 Flowers are greenish-white or cream streaked with lavender to dark red stripes which merge into a solid boss of emerald green colour in the centre of the petals. Some plants are self fertile, and some are self sterile. Booming season: In the United States and Europe it may bloom at any time in late winter to early spring (but blooms sporadically year round). In Brazil it blooms in October, the southern hemisphere spring. It is an evergreen, therefore often sends up foliage before it blooms and doesn't require a rest period. Cultivation and Propagation: It is a wonderful very easy plant to grow in pots or in the garden. Keep warm and moist all year, but it can even take some mild frost on the leaves in winter. Grow in full sun for best flowering. The plant is evergreen or virtually so, taking a one month rest in summer and another month's rest in winter. Once settled the species flowers regularly. 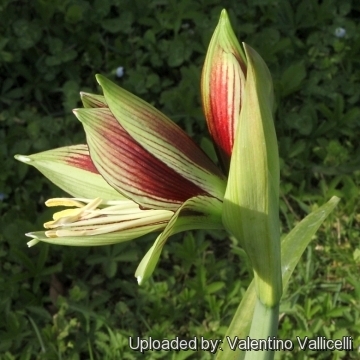 The bulbs are large and slow to increase so best left undisturbed for several years. 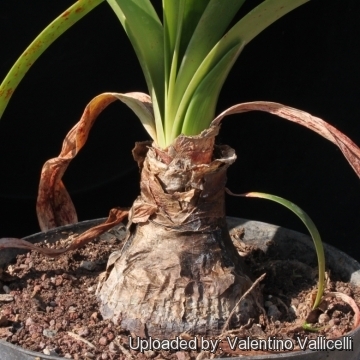 It is necessary pay a fair amount to buy this this plant because it can take several years to get the bulb to flowering size. 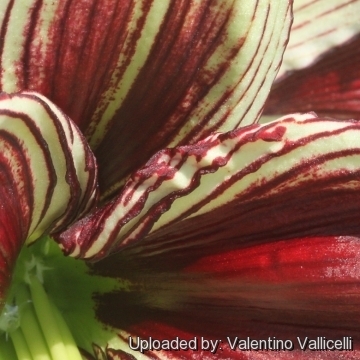 Propagation: The flowers will readily set seeds. 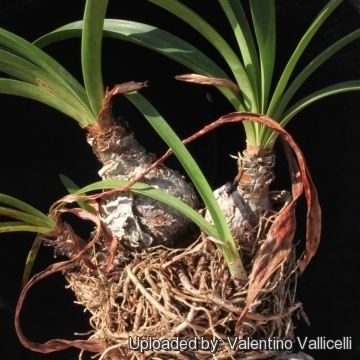 The plant also produces numerous offsets. 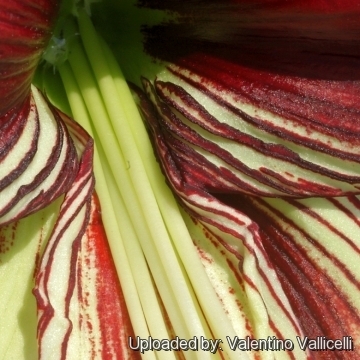 It is among the most vigorous of the Hippeastrum species, with rapidly growing seedlings, making it an excellent parent for hybrids.